Climb on a plane and fly over cities, contemplate the immensity of the sky, fly over the clouds or land on a track on the sea are some of the sensations that the traveler experiences when taking off or landing at some of the most attractive and spectacular airports in the world. 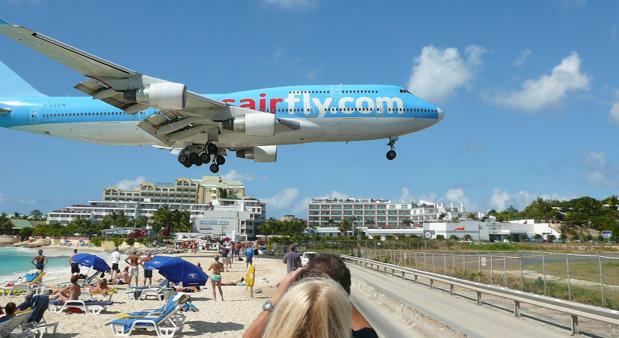 An example of this is the Princess Juliana International Airport, in the Dutch part of the San Martin island. Its appeal is due to the fact that planes fly a mere 25 meters on one of the most popular beaches of the Caribbean island. Private jets and commercial aircraft land and take off just above the heads of bathers who can almost touch the landing gear. The landing strip of Phinda Airport, Kwazulu Natal in South Africa is the only one in the world where you should check before landing if the track is clear of lions or elephants. This fact summarizes the spectacular nature of the area and why it has been voted in sixth place. 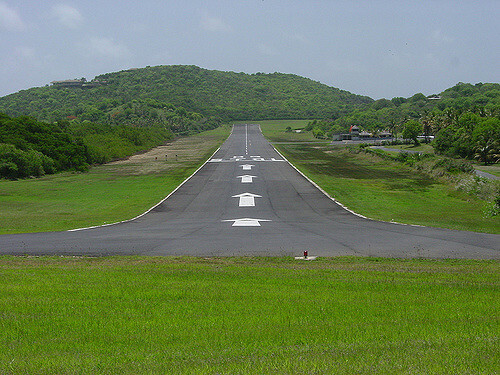 The Mustique Airport (MQS), Saint Vincent and the Grenadines is located in the island country and north of Venezuela and the Granada island, in the Lesser Antilles chain of the Caribbean Sea. Surrounded by green hills, the short track makes the pilots have to leave at great speed to avoid ending up at sea which makes it one of the most “exciting” airports in the world and only suitable for propeller planes. The Barra Airport, located in the wide bay of Traigh Mhor, on the northern tip of the Barra island, part of the Outer Hebrides (Scotland) and is the only airport in the world where its operations are performed on the beach surface. The airport has three tracks marked by wooden poles on the sand that, at high tide, are under water. 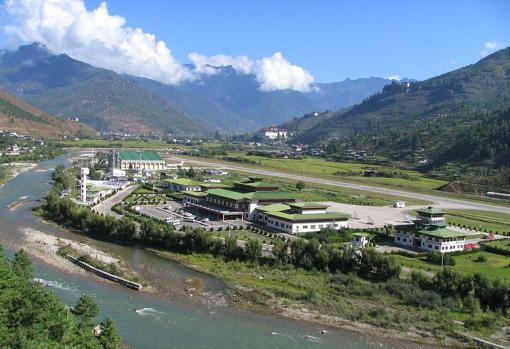 The Paro International Airport is surrounded by the Himalayan Mountains, in the Paro Chhu Valley, and is the only international airport in Bhutan. Located at 2,235 meters, in a wide valley next to the Paro River, it is considered “one of the most complicated airports in the world”. At the foot of the Himalayas, surrounded by mountain peaks, glaciers, lakes, rivers and streams, lies Sikkim, a small state of India famous for having the third highest summit on the planet, the Kanchenjunga peak (8,598 meters). And finally for the extraordinary Pakyong airport, inaugurated in September after nine years of work in which more than 58 million euros have been invested. Built on the top of a hill, about two kilometers above the Pakyong village at 1,371 meters above sea level, the airport has what many consider one of the most amazing tracks on the planet. With a length of 1.75 km and 30 meters wide, the passenger who travels the taxiway 116 meters long will have the authentic feeling of jumping into the void.